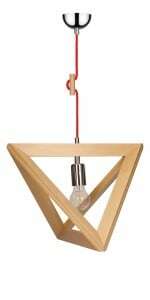 Thank you for submitting your question about Triple modern hanging lamp Merlot chrome LED 5W. 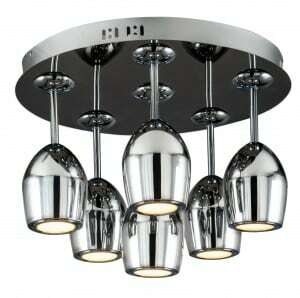 Ceiling pendant lamp in chrome, which fits into any room arrangement. Modern lamps means closing into a tasteful whole: minimalism, harmony and simplicity. From between the rooms of the house, the described luminaire will be beautifully presented in the dining room, kitchen, office or living room. The lamp has integrated 3 LED light sources with a power of 5 W. Lamp height: 1200 mm. 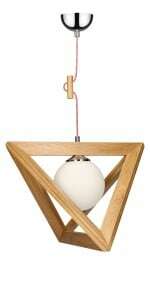 The product is made of the highest quality materials: acrylic and metal.